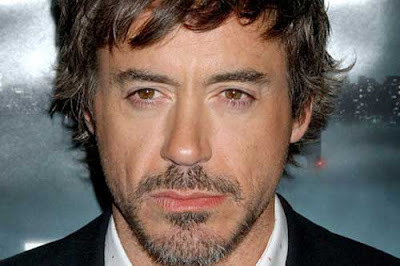 Reformed drug addict Robert Downey Jr. is still stopped by police officers, despite being clean and sober for over five years. Downey Jr. served time behind bars for drug offences in the 1990s and was last arrested in 2001, while he was starring in legal comedy Ally McBeal. Despite Downey Jr. finding sobriety and turning his life around, he admits there are still some cops who haven't forgotten his colourful past. He just wanted to see if I was loaded; he wanted to be the cop who gets to say: 'Yeah, you look really good on TV, but I'm gonna cuff you.'" Labels: Gossip Tidbits, Robert Downey Jr.